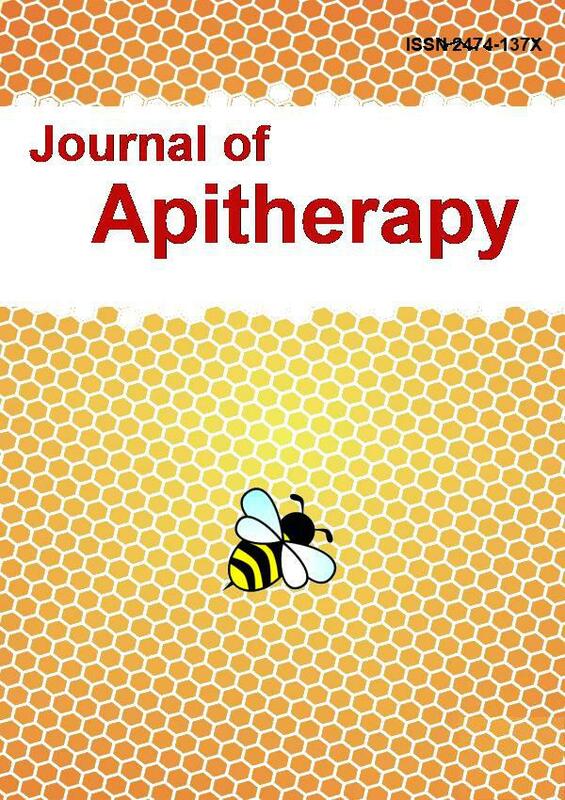 Journal of Apitherapy aims to publish original research articles and review articles across diverse fields of apitherapy research including bee, honey, propolis, royal jelly, bee venom, beewax and etc. Chemical Investigation and Cytotoxic Activity of Bee Venoms Collected by Dissection and Electric-Shocked Methods. Antibacterial activity of various honey monofloral and polyfloral from different region of Algeria against uropathogenic Gram Negative Bacilli. Effect of honey on the body weight of glibenclamide treated alloxan induced diabetic rats. Alteration of PUMA gene expression in mice by royal jelly and green tea. The articles in Journal of Apitherapy are open access articles licensed under the terms of the Creative Commons Attribution Non-Commercial License (http://creativecommons.org/licenses/by-nc-sa/3.0/) which permits unrestricted, non-commercial use, distribution and reproduction in any medium, provided the work is properly cited. Copyright © 2019 Journal of Apitherapy All Rights Reserved. Subject to change without notice from or liability to Journal of Apitherapy.